I have modeled a cross section with point elements in DUENQ. When importing the cross-section in RSTAB / RFEM, however, these point elements are not displayed. Why is that? 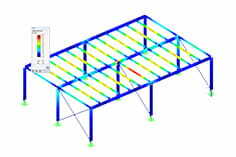 Point elements represent relatively small objects to map irregularities in cross-sectional geometry. They can be supplemented as a fillet, rectangle, circle or triangle or also removed from element surfaces. In this way, the area of the point element for the cross-sectional values can additionally be taken into account or excluded. Point elements have no stress points, so no stresses are detected at point elements. 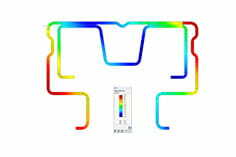 The point elements are therefore not relevant for the evaluation in the additional modules and are not output graphically. 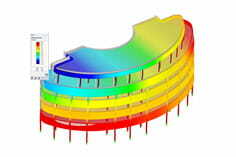 Nevertheless, the point elements are considered in the cross section values.